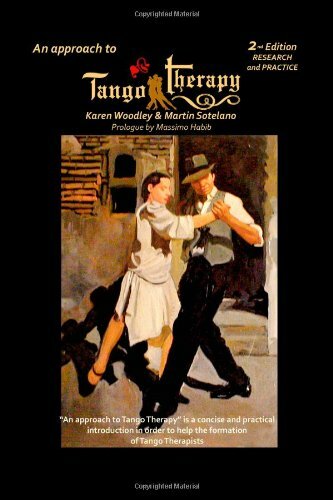 Tango Therapy moves away from the medicalisation of mental or physical illness and addiction. It brings together and energises the connection between body, mind and spirit, providing a creative outlet for the emotions and for the self. Tango is an exercise of slight to moderate intensity, similar to that which is recommended to prevent cardiovascular diseases. This was a study made by a scientist of the Favaloro Foundation (Buenos Aires, Argentina). A measurement that, according to the World Wide Organization of Health, improves the cardiovascular activity and prevents ill health, if one practices in regular form. Tango dancing is beneficial to the elderly because it incorporates elements found in standard neurological rehabilitation programs: forward, backward and side to side weight shift; one leg stance; walking on a straight line both backwards and forwards; increasing step length in all directions; and turning within a narrow space, says Patricia Mc Kinley. An added benefit to tango is that its movements are performed to music, which is known to facilitate performance of ambulatory activities. Recent research has shown that dance, specifically tango, may be an appropriate and effective strategy for ameliorating functional mobility deficits in people who are frail and elderly. ParkinsonUK young people’e event at Letchworth Centre for health Living. Parkinson sufferers and carers got to participate in Tango as well as councelling and advice sesions, in this event. Dancing also can benefit patients with Alzheimer’s disease who already participate in “Tango Therapy” sessions in different centres around the country, precisely because the dance is an activity with an emphasis on coordination that forces the patient to use his or her memory to remember the steps. The first study to systematically investigate and compare the effects of dance and strength/flexibility exercise on functional mobility in people with PD was made in the Washington University, in St. Louis, USA, in 2007 by Hackney, Madeleine E, Kantorovich, Svetlana, Levin, Rebecca and Earhart, Gammon M. They had demonstrated the feasibility of tango movement sessions for individuals with PD. While some significant changes in measures were noted. This work may ultimately lead to improved therapeutic movement approaches employing dance as an enjoyable and effective strategy for addressing functional mobility deficits in individuals with PD. These preliminary data suggest that dance may be a beneficial group activity to address balance and gait problems specific to PD. We are updating our website right now! Please, if you found any problem, apologizes, we will be ready soon. In the meantime, if you cannot find the information you need, please contact us and we will answer you ASAP. We also like to invite you to join to our Newsletter. It will be easier for you to stay up to date about our activities.